I am not exactly sure where the expression "Paint the town Red" came from, there are many different theories, but everyone knows what it means. It means to go out and have a blast! Not just the run of the mill going out with friends, but rather go ambitious, extravagant, and free. This is especially important as the weather changes and the leaves turn red (and eventually brown). It seems I am not the only one thinking about red, Elle Magazine says "Bright, Bold Red Is All You'll Be Wearing this Fall." Even acclaimed author Michel Pastoureau just completed Red, The History of a Color, his long-awaited follow up to highly-regarded books Blue, Black and Green (three different books!). In this week's Loupe, we get out of your routine, throw caution to the wind, and paint the town red! Before you go out, the dog needs to be walked. This is better left to a professional, especially now that the weather is turning cooler. It is better that you rest (power nap), or start to get ready, rather than walk the dog before your big night out. As much as you may love your dog, walking him/her is not the right vibe to start your night, or end it for that matter! You better download the Wag app. This app allows you to choose a private dog walker for your beloved pet. It knows where you live, how to get into your house/apartment, and will take him/her out for however long you desire. There are always available walkers in the neighborhood, but of course, you can choose to have a regular walker. You can schedule in advance, or just in time. During the walk, you can see where they went, and after, you receive a report card of what they did (#1 or #2). It's not that you don't love your dog, you do, it's that you need the night off to paint the town red (and sometimes outsourcing is worth the $$$)! When you're getting ready to paint the town red, start by buying some red roses for the house. Red roses symbolize love, beauty, respect, courage, devotion, and passion. Hmm ... not bad. Now, imagine you can buy roses and they can last not for one or two days, but rather an entire year! 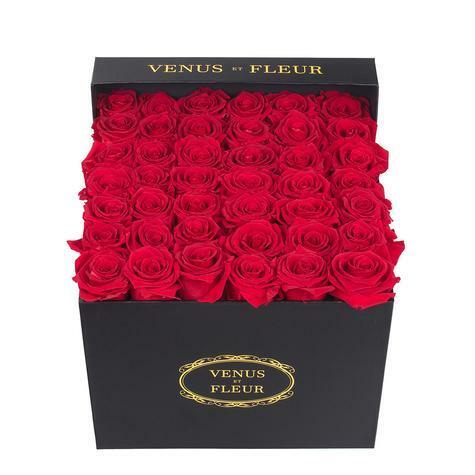 Venus et Fleur flowers were first introduced to me by Fellow Louper Debbie A., who sent over the most stunning bouquet of roses in a gorgeous suede box. These flowers are available in the gamut of Pantone colors and can even be further customized with patterns, letters, and symbols. However, I'm partial to red (especially for this post)! No one I know collects half bottles of wine ... that would be weird! However, I notice that half a bottle is the perfect amount of wine to open at home alone or with a friend. According to wine expert/consultant Steve Gett, "My general rule after opening reds is to put straight in the fridge (especially in a NY apartment) and then finish up the next night. Sometimes can push to a third but generally find best consumed next day...but very rarely a good wine will last the night!" Therefore, unless you are getting your drink on soon after that, the rest of the bottle usually goes to waste. That was before fellow Louper Kara F. introduced me to Coravin, and I got right on owning one. This handy device allows you to take a glass, or two, from a bottle without removing its cork and ruining its future prospects for drinking. If your spouse/roommate/friend prefers red wine (like mine) and you want white, you don't have to feel guilty about opening two different bottles. Or if you know you are going out and only want a glass or two, with Coravin you don't have to waste the entire bottle. 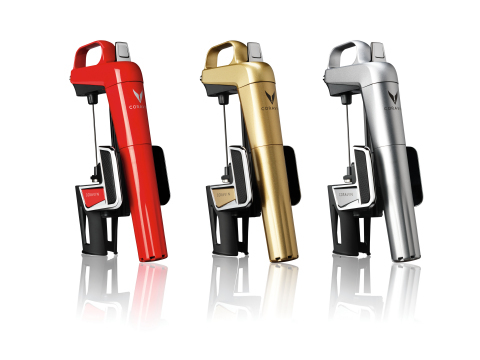 Last but not least, I've seen the Coravin recently in restaurants used by the best Sommeliers because they can offer their guests a super pricey glass of wine from a rare bottle without the risk not being able to sell the entire bottle that night. Genius! Now for the red, red wine (not UB40's song), I'm introducing you to one of the best drinkable and innovative Pinot Noirs... the Cherry Pie (appropriately named). It was introduced to me by fellow Louper Neil R. Winemaker Jayson Woodbridge (of Hundred Acre & Layer Cake) was inspired by his grandmother's cooking and started the brand Cherry Pie. Really cute label and really good wine ... drink up! Red Velvet from Two Little Red Hens - Check! After a long, adventurous night out you need to come home to the perfect splurge in the refrigerator. This snack will satisfy your hunger, lack of control, and desire to absorb the booze that you have been drinking. Let that snack be the best red velvet cake (or cupcakes) in NYC from Two Little Red Hens. Since this place doesn't stay open late, you need to buy before you go out. Everything at this bakery is delicious, but I really recommend the red velvet. Because I was curious, I asked, what is red velvet??? It seems that Red Velvet cake is neither chocolate or vanilla, as the copious amount of red dye alters the flavor subtlety. Enjoy! 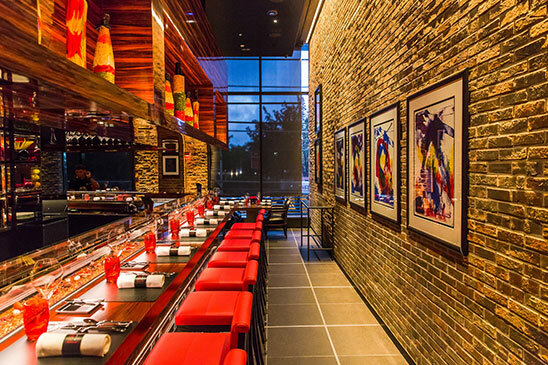 Now you are ready to paint the town red, and let's consider Wag!, Venus et Fleur, Coravin, Cherry Pie, Meteor Shower, L'Atelier Joel Robuchon, and Two Little Red Hens Found!